Sir Mix-A-Lot ‎– Iron Man / I'll Roll You Up! 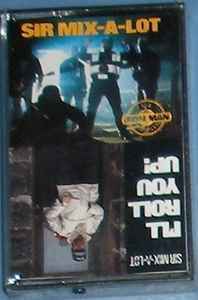 Special double A-side cassette (the sides are referred to as side-A / side-1). Craig Wells, Duke Erickson, Kirk Arrington and Mike Howe, all from Metal Church appear courtesy of Elektra Records.